We are one of the eminent names of the market engaged in offering high quality Distance Measuring Photoelectric Sensors to the customers. These Distance Measuring Photoelectric Sensors are made strictly in compliance with the international quality standards, at the vendors' end. Moreover, we make available these products to the clients in different specifications to meet different industrial requirements in an efficient manner. In our range, we offer Distance Measuring Photoelectric Sensors to the customers in different specifications. 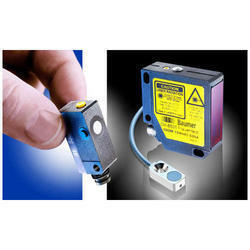 Looking for Distance Measuring Photoelectric Sensors ?